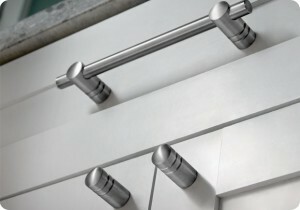 Hardware is the ‘jewelry’ of cabinets, doors and furniture – elevate a cabinet’s appearance with our large selection of cabinet hardware, drawer pulls, and cabinet knobs for any room. 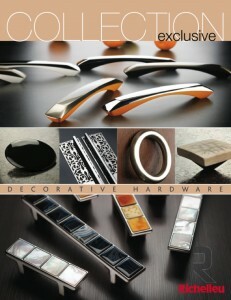 Their impassioned designs are a collective expression of their love for architecture and intuitive style. Inspiration can come from the texture of leather, a bauble, a piece of coral – elements that many would overlook, yet they manage to envision them as the detail that will make the difference. Whether you want to make a strong design statement with bold colors such as sapphire or crimson or tone it down with subtle finishes such as satin nickel to match your appliances, Liberty’s full line of decorative cabinet hardware can make your cabinets come to life. Top Knobs craftsmen manufacture their knobs and pulls using a blend of traditional craftsmanship and advanced production methods. Their attention to detail ensures that their products look and feel individually made rather than mass-produced – whether they manufacture just a few pieces for a custom kitchen, or thousands of pieces for a large manufacturer.